Quiet residential neighborhood 16.5 miles east of downtown Nashville. This property is the best of both worlds! Close enough to see all the popular Nashville sites but away from all the noise when you are looking to relax in peace and quiet by the lake. Nashville International Airport is on the east side of Nashville and is approximately 11 miles from this property. The home of President Andrew Jackson (the Hermitage) is in the next town over and only a short 10 minute drive. Popular restaurant chains as well as Wal Mart and Publix are a short drive from the lake house for provisions. The Cedar Creek Marina is 6 miles away for boat rentals and a restaurant and bar right on the water front. I am a real estate investor with four grown sons. My wife and I enjoy relaxing by the lake and wanted a place we could all enjoy that was near our respective homes and this location was ideal. Lake front property near Nashville is hard to find so when this property was listed for sale, my real estate partner and I jumped at the chance to own something on the water for our families to enjoy. Private dock with a sitting area overlooking the lake. The fire pit makes for a great addition for cooking over an open fire or just enjoying the wood fire at night. 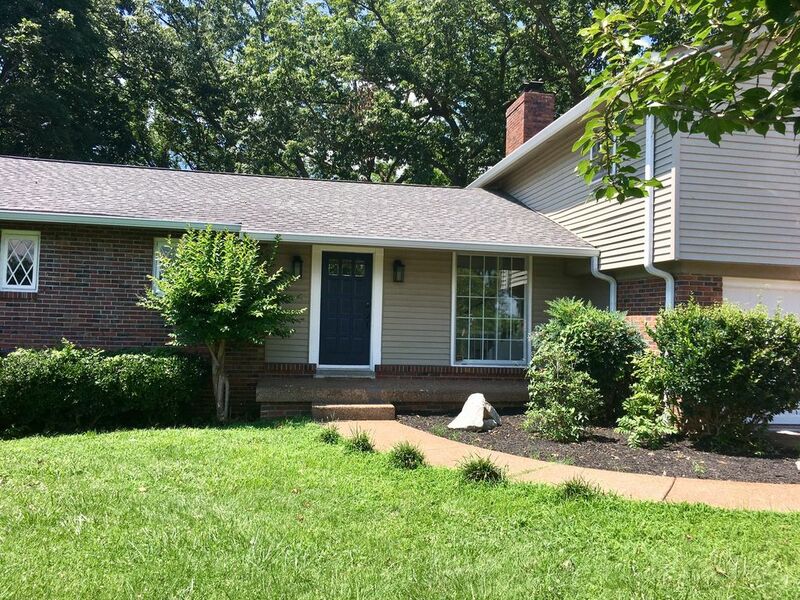 Renovated older home in a safe and quiet neighborhood on Old Hickory Lake - pet friendly too! Downstairs has a large den with lake view and wood burning fireplace plus an adjoining bedroom making this a great place to have privacy from the main level (great lake view from main level too plus nice deck) We will try to rent this home when we visit Nashville. Very responsive property manager! The house was so much bigger then we thought. Just loved how the layout was and so clean. Went right outside on the deck to check out the views. Just like the pictures showed. We walked right down to the boat dock. We did have two nights using the fire pit. We did a lot of site seeing and came back to the house to relax. We made breakfast every morning and the kitchen was supplied with everything we needed. Sat on the deck having our coffee and enjoying the view and boats going by. We did rent a boat for the day on the lake and the book that is at the house was so helpful. I loved the bedroom that I had and beautiful. My sisters room also was lovely. There are four very nice bedrooms in the house. Definitely highly recommend this lovely house. This was our first vacation that we never turned the TV on or listened to the news. Everything is close by and everyone was nice every place we went. You will relax, site see, eat, rent a boat, enjoy the view and the quiet sounds or make a fire in the fire pit and enjoy your company and talk and listen to the silence! This was a true amazing vacation. All I have to say is, Thank You! Great home on the water! This house is set up great for a group or large family. Large deck overlooking the lake. Nice size bedrooms and bathrooms. Basment has a large couch and nice TV. Very close to gas, groceries, restaurants and marina (Cedar Creek Marina for boat rental). The kitchen had most everything you need and a nice gas grille on side deck. Ice maker in the large fridge works great. Beds were very comfortable. There are a lot of steps down to the dock, but nice to be right on the water...Great view!! Some days bugs are bad down by dock, and at night on deck after dark. I would highly recommend this house.....Owner is very responsive to questions and honest about his answers.. I would highly recommend this home for any families heading into the Nashville/Green Hill area. We rented the house for a week. The house was very clean, spacious, and accommodating for 6 adults. The owner was so easy to communicate with us and very accurate in his description of what is available. It was about a 30 minute drive to Broadway Street in downtown Nashville which was totally manageable. We enjoyed being close enough to the city, but also having the availability of a quiet lakefront neighborhood to relax in. We also found a beach/lake with nature trails about 15 minutes from the house. We used the fire pit and the grill. Both were easy to use and easy to clean. The one suggestion is to be sure to pack bug spray as the property is very wooded and there were a lot of bugs. I would highly recommend this property! Thanks for a great stay! Beautiful place and a great view. Melody W.Where do you live? Just came back from a family reunion in Nashville and we stayed at this property and loved every minute of it. We had three couples for the week with one additional couple on the weekend and everyone had there own space. Very large dining table with a beautiful view of the river accommodated us all. Even enjoyed some game time at the table. We cooked about 2/3 of our meals at the house using kitchen and the large grill. There are two living areas with TVs lower area had a huge sectional sofa upper area two side chairs and a sofa. We also used the large deck that had some outdoor seating. The trek down to the fire pit and dock is quite challenging especially to the seniors in the group but once there it was very peaceful. One morning a deer appeared as we sat on the dock. We enjoyed watching the barges move down the river. We had a maintenance issue that was resolved immediately. Owner communication was excellent. So if you have a large family that needs a get away this is the place. And of course Nashville was wonderful too.